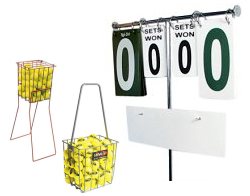 Le Courts offer a range of quality tennis equipment. 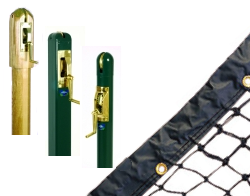 From tennis posts to nets our court equipment is built to last. 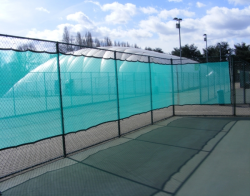 All equipment can be supplied to private homes, tennis clubs and local authorities. Looking for the items that you need is simple here at Le Courts. For price and availability please visit the Contact Us page or call us on 08454 15 30 40. We have all of our products listed and grouped by type so that you can instantly find what you're looking for. For instance, we have three distinct categories which are Tennis Posts and Nets, Court and Coaching Equipment and Chairs, Accessories and Surrounds. If you know what you are looking for simply choose the category that best fits your needs and contact us for further product information and latest prices.